PAW Patrol Live! 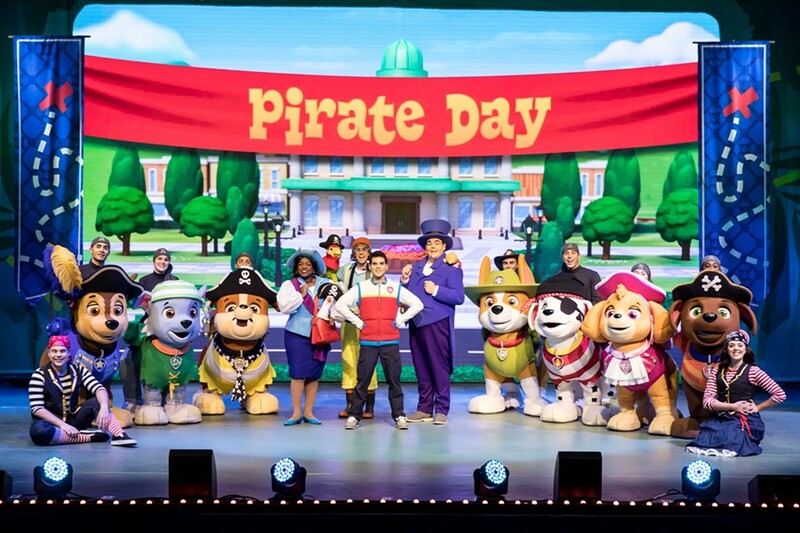 “The Great Pirate Adventure” follows the first live show PAW Patrol Live! “Race to the Rescue,” which is currently touring through 2018. PAW Patrol Live! “The Great Pirate Adventure” includes two acts and an intermission and incorporates an innovative costume approach to help bring the pups to life on stage as well as their vehicles and packs during the adventure. The performance is interactive, engaging audiences to learn pirate catchphrases, dance the pirate boogie and help the pups follow the treasure map and solve picture puzzles during their mission!